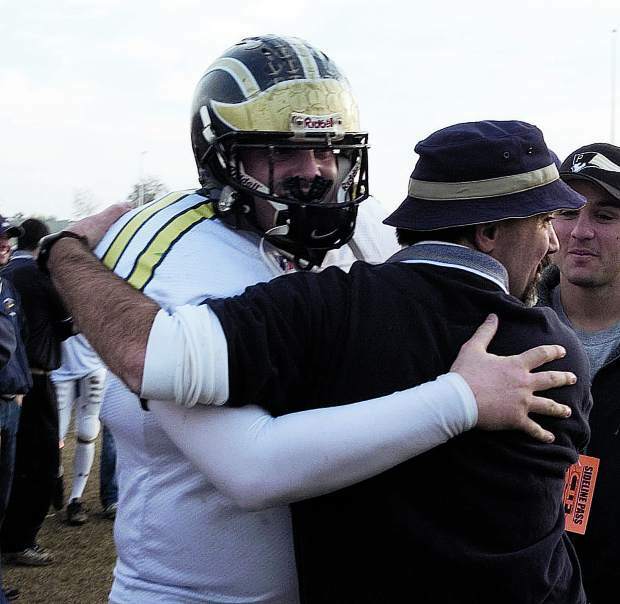 On the football field, Brennan McFadden (right) was a dominant offensive lineman and tight end, who helped the Miners win the Metro League championship in 2003 and reach the Sac-Joaquin Section title game in 2004. He was a two-time All-Metro League First Teamer on the gridiron and was Nevada Union’s Albert Ali Award winner his senior year. 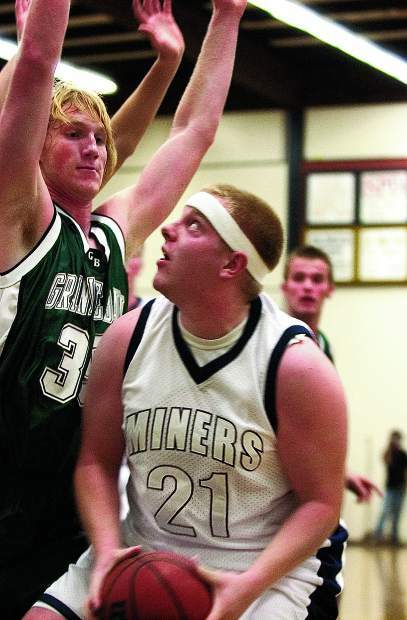 In basketball, Brennan McFadden was a two-time All-Metro League First Team Selection and the Miners team MVP his senior year. Brennan McFadden hugs Dave Humphers after beating Granite Bay in the City Championship Game. 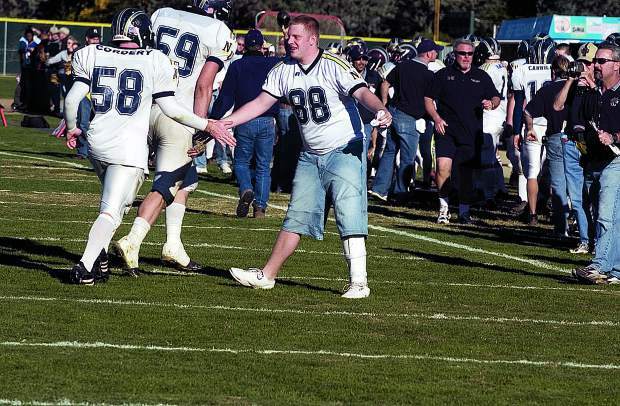 On the football field, McFadden was a dominant offensive lineman and tight end, who helped the Miners win the Metro League championship in 2003 and reach the Sac-Joaquin Section title game in 2004. He was a two-time All-Metro League First Teamer on the gridiron and was Nevada Union’s Albert Ali Award winner his senior year. 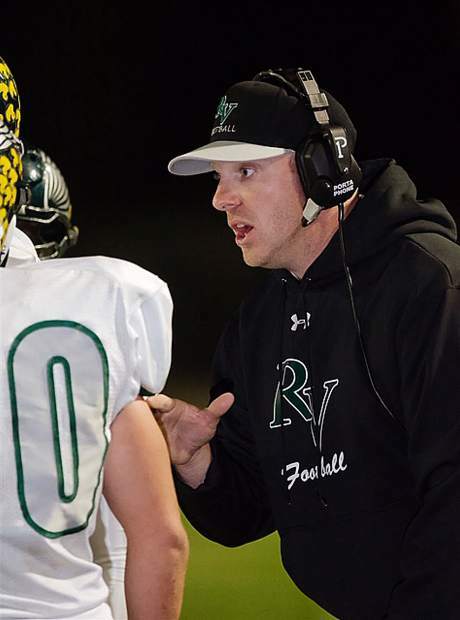 For the past six years, Brennan McFadden been the head coach of the football team at River Valley High School in Yuba City. Since taking over the program in 2014, his teams have made the playoffs four times. McFadden suffered a broken leg during his senior season, but remained a steadfast supporter of the team, and eventually returned to action in the playoffs where he helped the Miners reach the Sac-Jaoquin Section championship game. 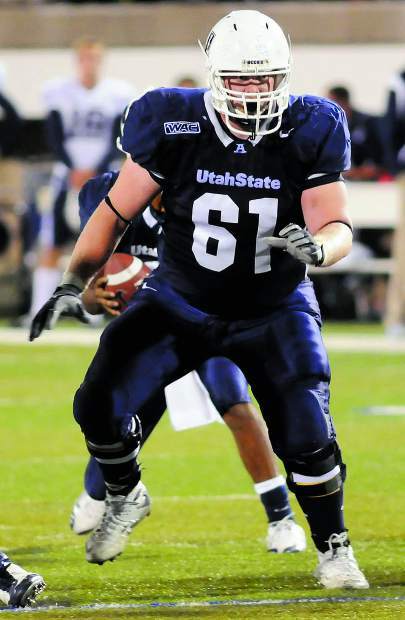 While at Utah State Brennan McFadden was four-year starter at guard and center. He was an All-WAC Second Team selection his junior year and was voted to be a team captain by his teammates his senior year. 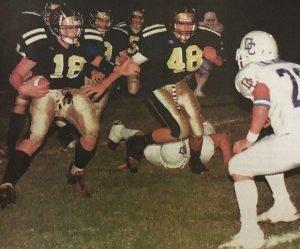 On the football field, Brennan McFadden was a dominant offensive lineman and tight end, who helped the Miners win the Metro League championship in 2003 and reach the Sac-Joaquin Section title game in 2004. He was a two-time All-Metro League First Teamer on the gridiron and was Nevada Union’s Albert Ali Award winner his senior year. As far back as Brennan McFadden can remember he’s had a passion for sports. As the son of a Nevada Union teacher, McFadden spent much of his time at the sports-crazed high school and looked up to the Miners athletes that came before him. “I was literally raised at Nevada Union,” said McFadden, who often served as a ball boy for NU’s morning football P.E. class before heading off to grade school. When time came for him to don the blue and gold, he was a force to reckoned with and was a key member of several highly successful teams. For his efforts as a member of the NU basketball and football teams as well as his accomplishments after high school, McFadden will be inducted into the Nevada Union Athletics Hall of Fame April 27. McFadden said his first love was basketball and he was a three-year varsity player on the NU hoops team. 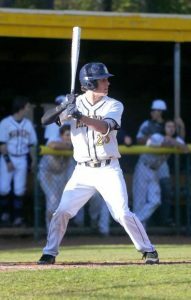 During his three seasons on the team, he was a two-time All-Metro League First Team Selection and the Miners team MVP his senior year. NU won at least a share of the Metro League title each of McFadden’s three seasons. 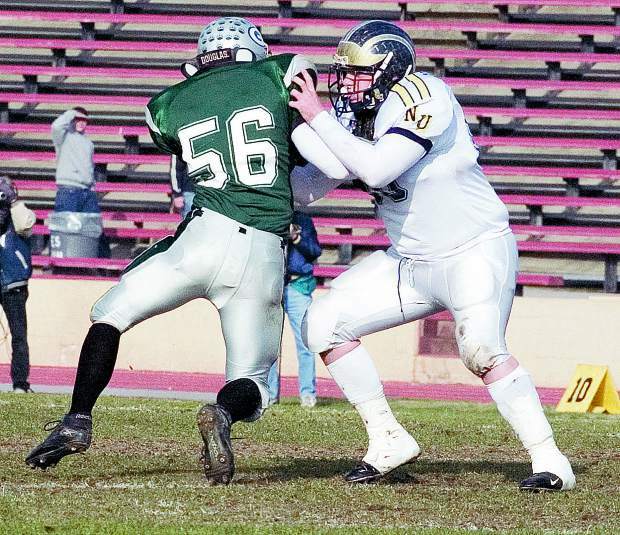 On the football field, the then 265-pound McFadden was a dominant offensive lineman and tight end, who helped the Miners win the Metro League championship in 2003 and reach the Sac-Joaquin Section title game in 2004. He was a two-time All-Metro League First Teamer on the gridiron and was Nevada Union’s Albert Ali Award winner his senior year. Fond memories of playing in front of a raucous student section on the basketball team and beating Grant with a last-minute trick play in football still remain with McFadden, but what sticks with him the most is the bonds he formed with his teammates. 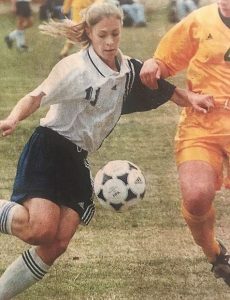 After graduating from Nevada Union in 2005, McFadden accepted a scholarship to attend and play for Utah State. He redshirted his first year then went on to be a four-year starter at guard and center. He was an All-WAC Second Team selection his junior year and was voted to be a team captain by his teammates his senior year. While at Utah State he was also a two-time Merlin Olsen Award winner, which goes to the Utah State player who shows great character and leadership on and off the field. After his senior season, After college, McFadden signed a free agent contract with the NFL’s Cleveland Browns. After his playing days concluded, McFaddden didn’t stray too far from the game. For the past six years, he’s been the head coach of the football team at River Valley High School in Yuba City. Since taking over the program in 2014, his teams have made the playoffs four times. 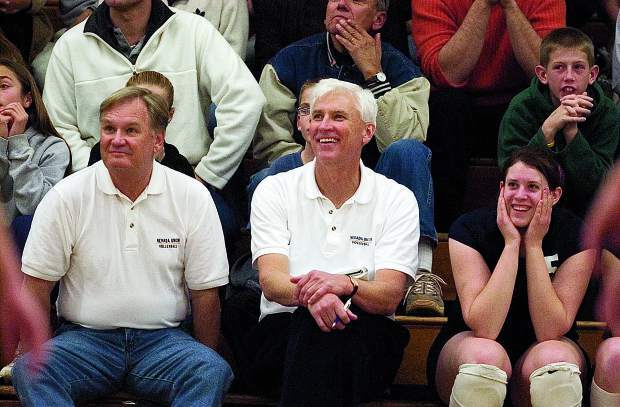 McFadden and Humphers are currently co-head coaches at River Valley and have been for the past two seasons. McFadden, who currently lives in Yuba City with his wife Risa and their 2-year old daughter, said he’s extremely grateful for his parents Louise and Francis as well as his sister Robin Black for all their love and support along the way. He’s also said he’s very appreciative of the community he grew up in and the opportunity to play at Nevada Union.